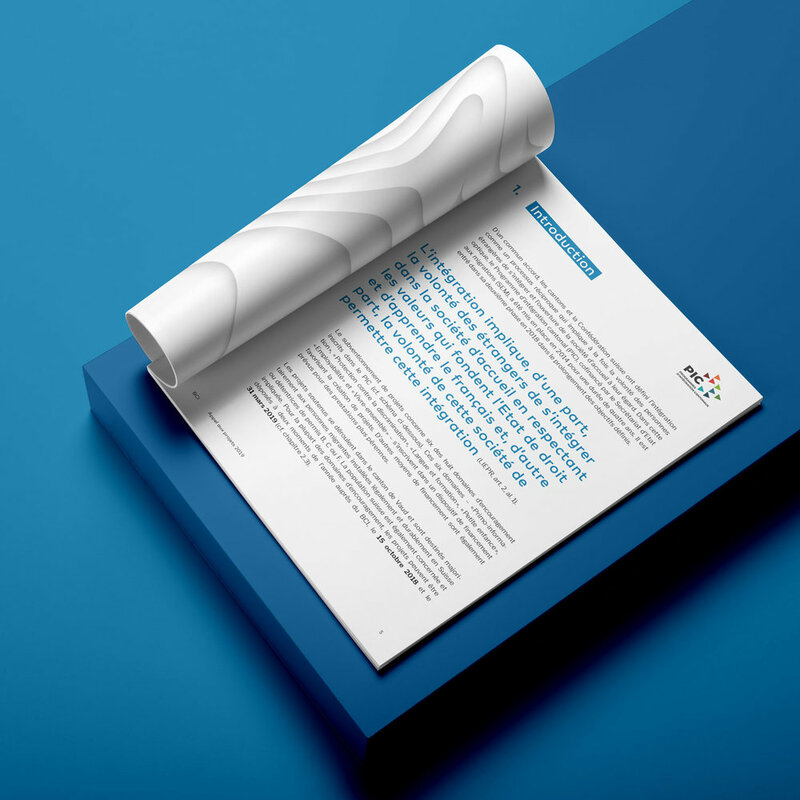 July 2018-ongoing ||| Creation of the new corporate identity for the Canton de Vaud / Cantonal Office for the Integration of Foreigners and the Prevention of Racism (BCI). 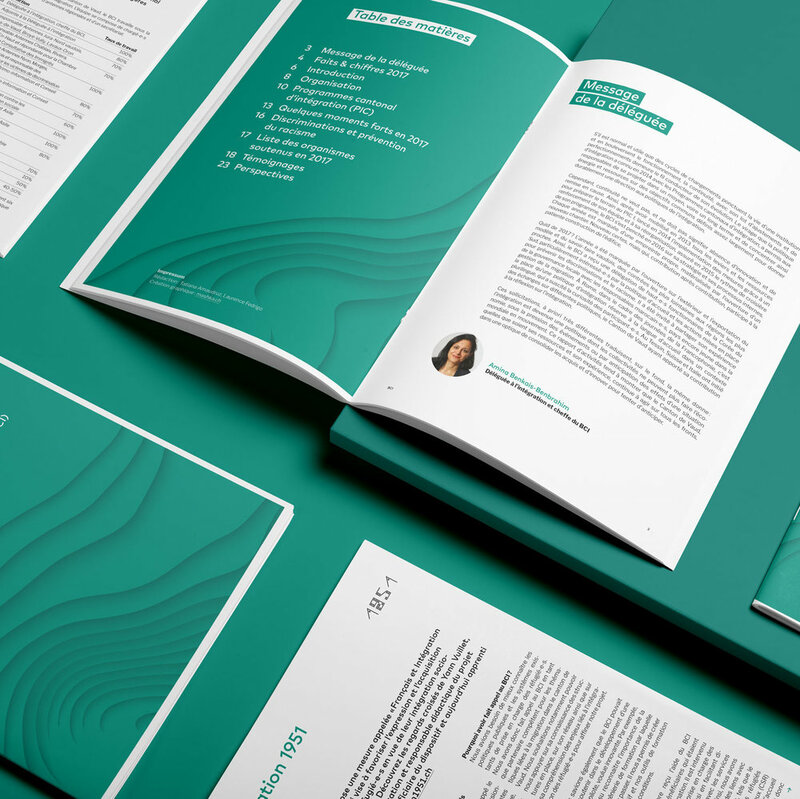 Use of illustrations representing topographic curves, erasing borders, accentuating smoothness in transitions. 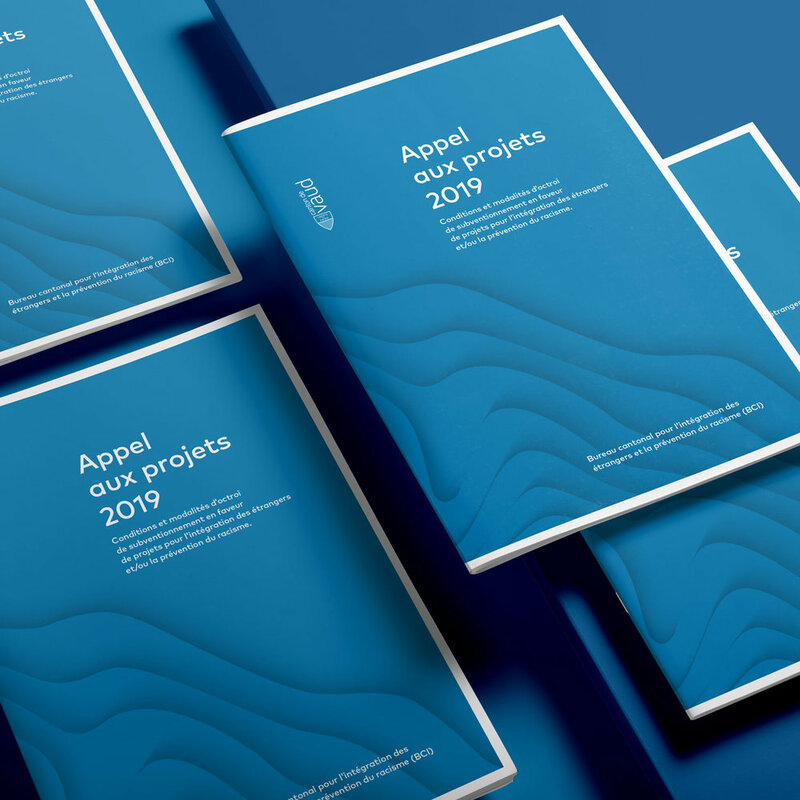 First element created with this identity was the A5 brochure « Appel aux projets 2019 ». 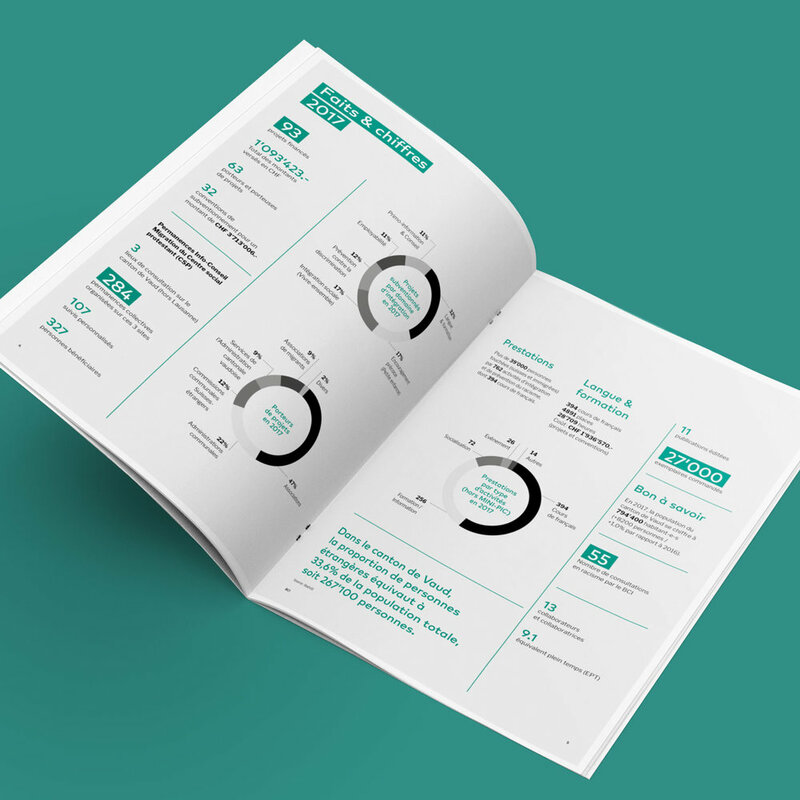 The second document created for the Canton de Vaud / Cantonal Office for the Integration of Foreigners and the Prevention of Racism (BCI) was their 2017 annual report: an A4 brochure + a DL flyercontaining a summary of the main futures of 2017. I also created a roll-up.